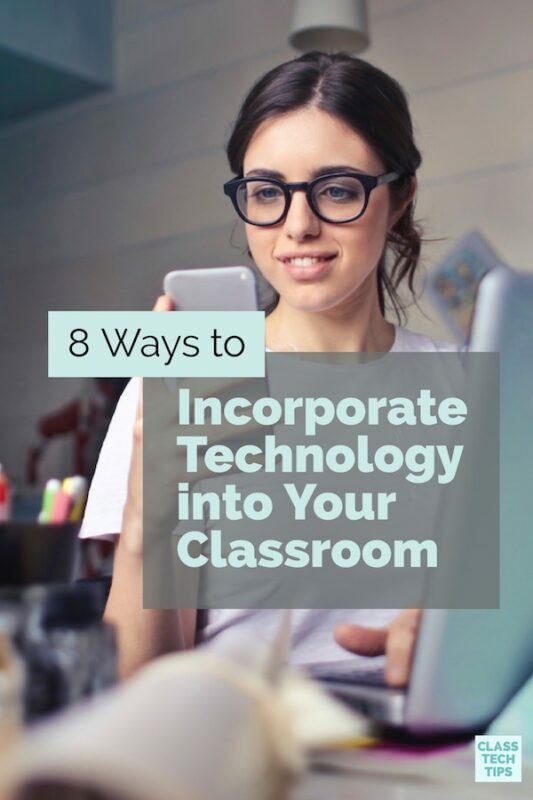 When making decisions about how your school and district use technology in classrooms, there are many things to consider. During my travels to schools and conferences in different corners of the country, the conversation often comes back to one topic. What actually works? How can we get more impact from our EdTech? 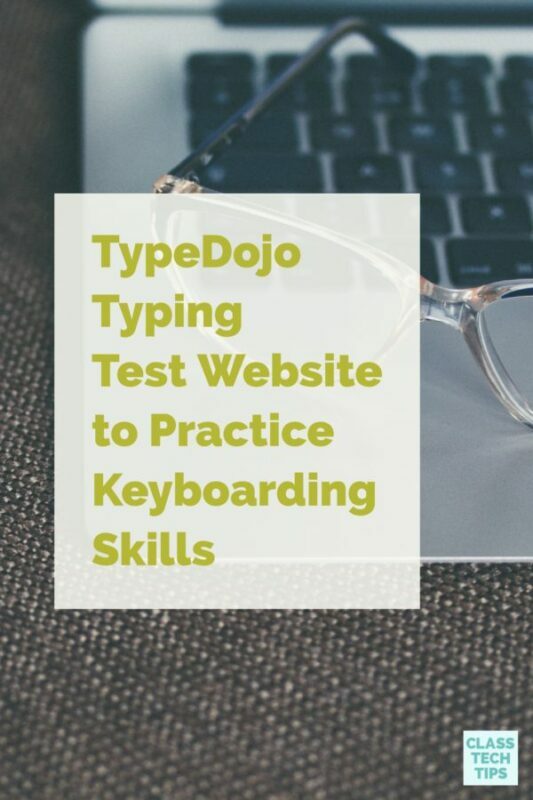 If you are a regular follower of my blog, the phrase “tasks before apps” should sound familiar. I use it all the time as a way to refocus conversations around the purposeful use of digital tools. 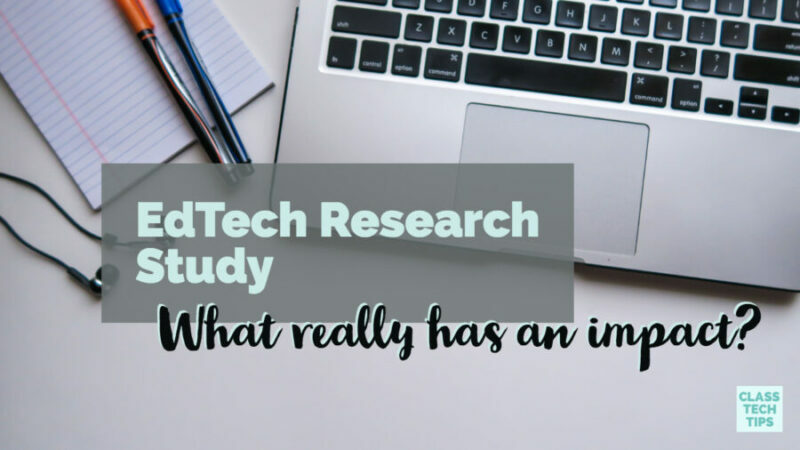 So earlier this year, the folks at SMART reached out to share research findings on educational technology. I wanted to learn more about their findings. Through a survey of hundreds of education leaders in ten countries, this study examined links between EdTech and learning outcomes. (3) formal evaluations of the effectiveness of the technology used in their school. As someone who is passionate about using technology to empower students as creators and collaborators, it was interesting to see that schools labeled as having high outcomes used more game-based learning and student collaboration. This survey also looked at the differences in the EdTech capabilities of high- and low-outcomes schools. 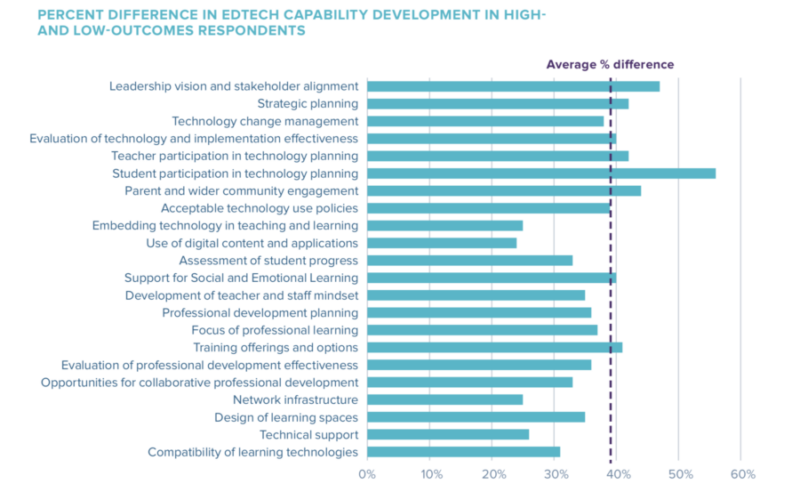 It identified 22 different EdTech capabilities and examined the areas with the most significant discrepancies between high- and low-outcomes respondents. It was interesting to see how student participation in technology planning and support for Social Emotional Learning was important in certain areas. I immediately started thinking about the observations I make when visiting different schools. There is definitely room to grow when it comes to infusing Social Emotional Learning and student participation thoughtfully into technology integration. When we think of the ways EdTech can genuinely make an impact, these questions are essential. They can help connect with new initiatives and drive conversations as you plan strategically with all stakeholders in your community. 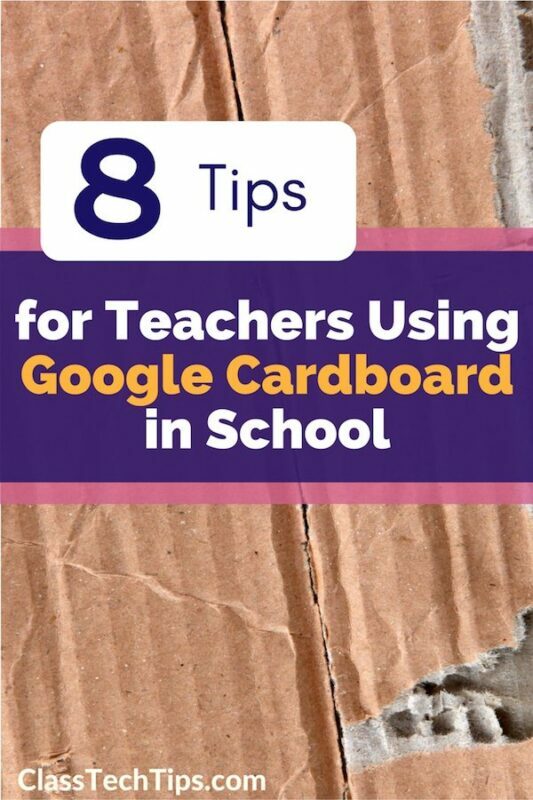 Getting ready to dive into the new school year? Review the EdTech capabilities outlined in the study and keeping the results in mind, can make planning more purposeful and connected to both short- and long-term goals. Learn more about this global study, EdTech Capabilities and Learning Outcomes by visiting SMART’s website Or take a look at their self-evaluation tool to receive a personalized profile!